The Vietnamese documentary , Cha Me Xin Loi Con (Baby, We Apologise to You) by Phan Huyen Thu was selected by the Institute for Vietnamese Culture and Education (IVCE) to “show the real life of modern Vietnamese society to western audiences, including young overseas Vietnamese,” according to IVCE chairman, Tran Thang. 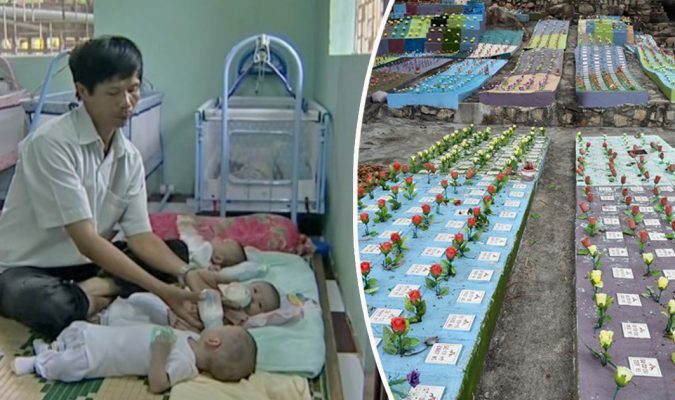 Baby, We Apologise to You tells a story of a construction worker in Vietnam, Tong Phuoc Phuc, and a group of charity volunteers who collect aborted fetuses from hospitals and bury them in a small cemetery, which they set up on a hill in the central coastal province of Khanh Hoa. The touching 37-minute documentary won a Silver Kite Award and brought Thu the Best Director prize at the Vietnam Golden Kite Film Awards in 2007. 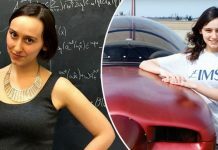 This is really amazing and heartwarming story! Tong Phuoc Phuc has shown the world what true selflessness is all about! And, now you probably ask yourself – how? 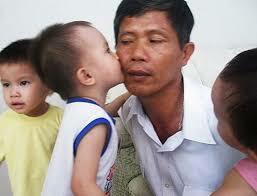 Tong Phuoc Phuc is a true hero for the unwanted children and those aborted. His story could surely tug at your heartstrings. He has changed the lives of so many women. It all started in 2001 when his wife was pregnant. When he accompanied her to the hospital, he noticed that many pregnant women left the building without babies. He had learned that these women were getting abortions. His heart was broken knowing that these babies didn’t have the chance to come into this world. So he asked if he could take all the aborted babies from the hospital to be given a proper burial. After all, they are still human being ultimately. With his savings, he was able to buy a land at the top of the mountain, called Hon Thom in the city of Nha Trang where he could bury all the poor babies. After some time, he began burying the dead babies in this idyllic setting. 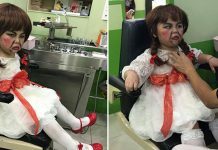 At first, his wife thought he is crazy, but Tong wouldn’t give up on his dream. 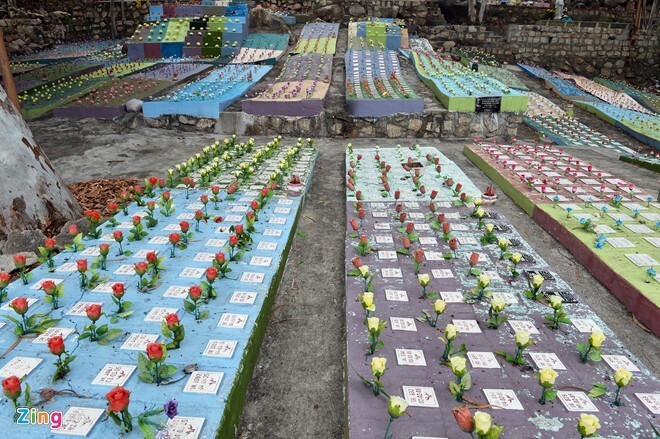 Over the years, more than 10,000 have come to rest in Tong’s field. Tong said that his cemetery isn’t just a place for sadness, but it’s a garden meant to touch women who are feeling uncertainty. Hoping that they would decide to keep their child. Tong also offered his services to help mothers who were not in the best conditions to raise a child. Many women from Vietnam, who didn’t have the means and the funds to raise their children started coming to Tong and asking for help. 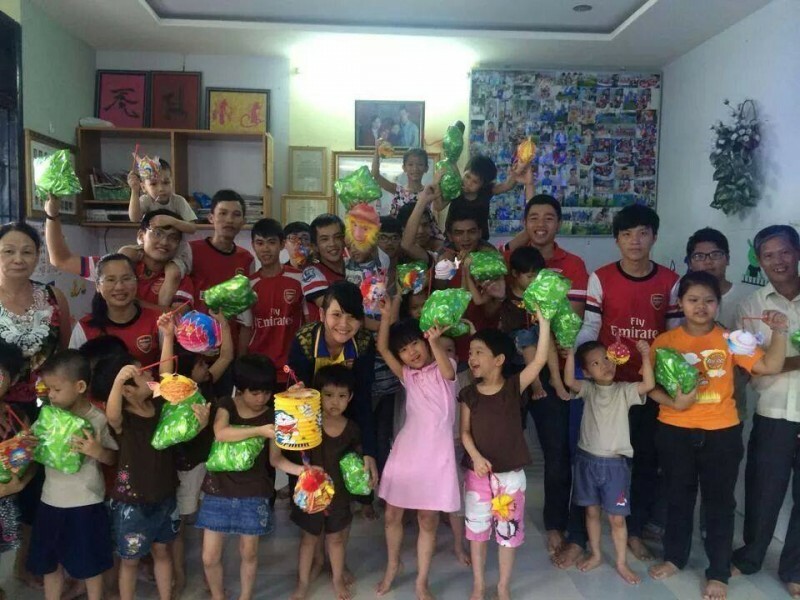 His home became an orphanage and when their mothers’ lives became better, they could come and pick them up. In the beginning, he did the job on his own and didn’t encourage anyone to follow him as he was afraid that people might think wrongly about what he was doing. However, people from hospitals understood his goodwill. Gradually, more people came to approve his work and joined him. 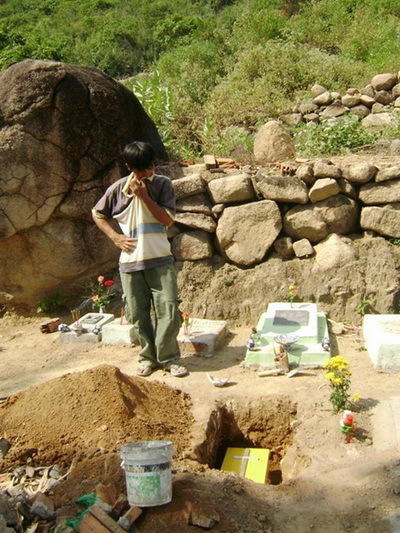 Tong Phuoc Phuc said that after having buried so many dead babies, he recognized that it would be better if he could try to save their lives. He came to hospitals and maternity wards, talked to desperate mothers who were expecting and advised them not to have an abortion. If any girl cannot afford to raise her child, he is willing to help her raise the baby until she can raise her child on her own. He promised that he would not give the child to anyone else. 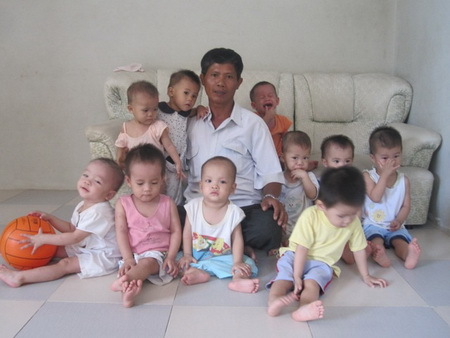 Tong has brought hundreds of babies to his orphanage in Nha Trang and taken care of them. In his home at No. 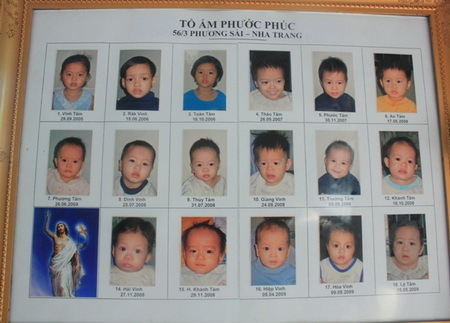 56/3 on Phuong Sai Street of Nha Trang City, there were about 20 children being brought up. 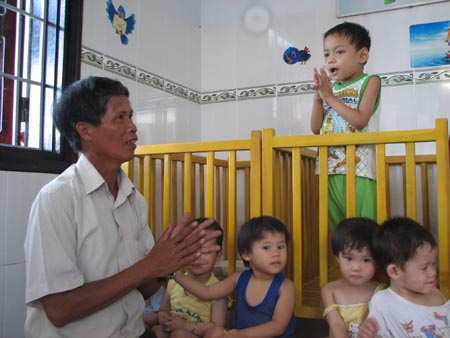 Tong has a second home in Cam Ranh, 70 kms south of Nha Trang where he also asked people in charge of a church in Cam Ranh to take care of another 50 babies. 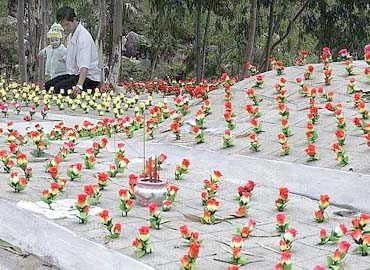 Phuc has been building a cemetery of 8,000 square meters in Nha Trang for about 1,000 aborted babies. The babies taken to his house all bear his surname. Since it’s hard for him to remember the names of the children, he came up with easy-to-remember nicknames for each: Boys have first name as “Vinh” means honor and girls have first name as “Tam” means heart. Only their middle names differ, they are the name of their mother’s hometown so that they can be easily recognized when they come back. However, Tong didn’t treat them as foster children, they are each like one of his own. Tong said that he feels very happy to see the reunion of the mothers and their children. More than 50 young boys and girls have gone back to live with their own mothers so far. Tong said that he is now very glad to see that the abortion rate has gone down significantly. “In 2004, there were about 30 babies taken to this cemetery to be buried each day. Now, there are days that no babies are taken to this place. I am very happy about that,” he said. 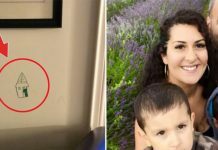 Many times Tong has taken women who had the intention to have an abortion to the cemetery, and then he took them to his house to see the lovely faces of the babies. Tong said he did so because he wanted the girls to understand more about their parental responsibilities and not to regret their decisions for the rest of their lives. Although educating these children may seem like a task that requires a lot of energy, Tong said that he would continue his mission until his very last breath. He loves his role as father. He even wants his own children to continue this tradition once he passes away. What a compassionate and heroic man he is. The world will definitely be better if we have more people like Tong Phuoc Phuc. Please share this story to those you think may benefit from reading this. 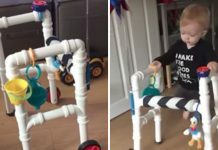 Don’t give up a baby easily! They deserve to see the world and nobody has the right to take their life away.